Around the USGBC communications and marketing departments, you’ll find one item sitting on most of my comrades’ desks: the AP Stylebook. Since its initial publication in 1953, the stylebook has been the go-to authority in the communications world for spelling, language, punctuation, usage and style. It’s updated annually to reflect new terminology, such as “emoji,” and to revise older entries, such as whether “internet” is capitalized (hint: it’s now lowercased) or if you should spell out state names in a story (hint: you should). New to AP Style, or need a refresher? Here’s a roundup of common AP Style guidelines and a few additional resources to help you never go out of (AP) style. 2008 was a great year. She needed more than 51 percent of the vote to be elected mayor. A general rule of thumb is the fewer hyphens, the better. But do use them to avoid confusion or to form a single idea from two or more words. Don’t use a hyphen for adverbs that end with an -ly. Use numbers for times, excluding noon and midnight. Don’t use zeroes. It was seven years ago on Jan. 20, 2009, that Barack Obama was inaugurated as president of the United States. Let’s go a little farther up the trail. I can look further into the problem. Never use an acronym (NATO) or initialism (ASPCA) on the first reference. Follow AP Stylebook on Twitter at @APStylebook for regular updates and to ask questions. They also host monthly #APStyleChats. “The Word: An Associated Press Guide to Good News Writing,” by Renè J. Cappon, is a great read for those looking to sharpen their writing skills. In the design world, we have seen a movement away from static images and toward motion. It used to be enough to create supporting, still graphics to tell your brand’s story and express your mission. But that isn’t the case anymore. Designers are creating logos, but instead of creating flat images, they are looking ahead to how it will move, what the GIF will look like, how people will feel when they see it. How will people feel? Yep, that’s right. Using motion and animation means brands can really tap into the emotions behind design. 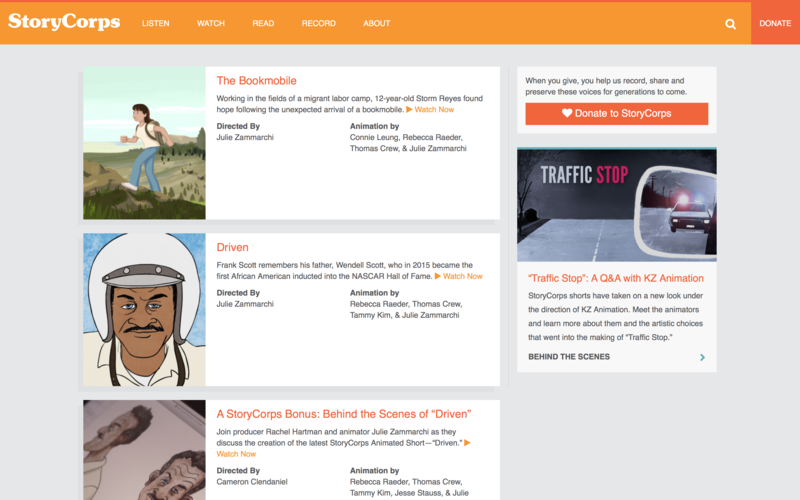 StoryCorps is a great example of an organization that really believes in this movement. They have a mission to share stories, with the hope that more connections will be made between people. They focus on taking narratives, putting a voice to them and then visually showing the narrative as well. So how does animation help tell your story? With the help of movement, companies can create a full narrative from start to finish. People love stories, and watching a story can be extremely moving. Companies can also focus on what their audience hears. So not only can a company create a powerful visual narrative for its audience, but it also has the ability to pair it with a voice that resonates with their viewers. People feel connected watching motion graphics and hearing a narrative. A really fantastic example of this is TedEd. 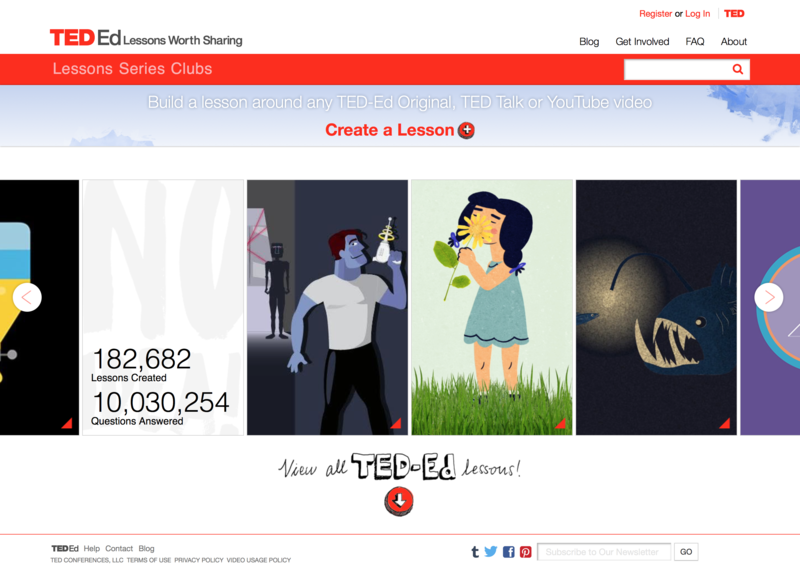 They have a growing library of original animated videos that are geared toward students around the world. The idea is that really great ideas are being shared, but they aren’t reaching everyone that they could be reaching. These videos are created to spark curiosity, foster collaboration and help people learn. They cover all different styles, from simple, one-color animations to more in-depth, collaged animations. If you work with a company that really depends on your followers and supporters, it has become inadequate to simply speak your mission. People want to see it, they want to share it, they want to hear it. At USGBC, we feel very strongly about this new design trend, and try to implement it every chance we get. We started to get some of the same questions from our followers over and over again. Why respond with a stat and a quote, when we can show them an answer instead? When they asked, “What is green building?” we showed them. When they asked, “What does LEED have to do with homes?” we showed them. This connection for our followers has been a great tool to engage and empower our supporters. Stay connected to our YouTube channel to see questions and topics animated!